Bring style and performance to the baseball diamond with the athletic henley shirt—the perfect uniform for youth baseball or softball team wear. 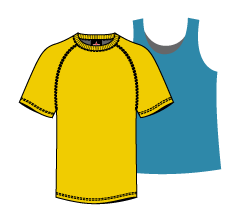 At Clothing Warehouse, we offer quality youth henley shirts with moisture-wicking finishes to keep young athletes comfortable and cool. Remember to add a personal spin to any of the youth henleys by using our screen printing and embroidery services.